A note of appreciation sent to anybody goes miles to improve a relationship at the same time create a sense of belongingness between the sender and receiver. When you have to maintain a good relationship just do the little to send an appreciation letter in our collection of such formats and see the magic it does to make your receiver come close to you. 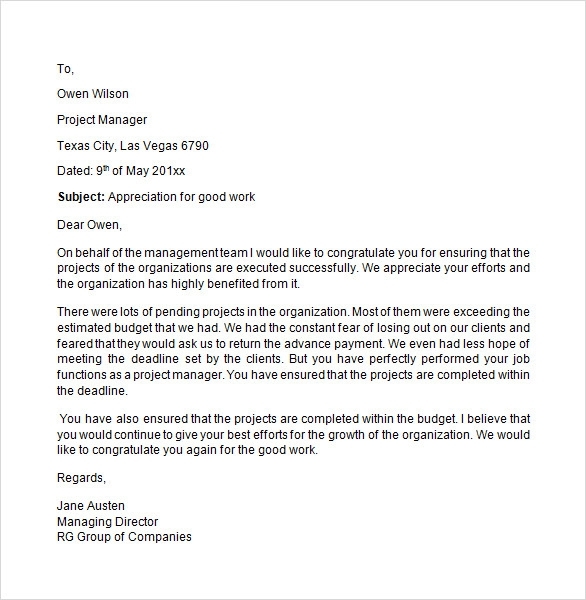 An appreciation letter is a very good PR tool to help maintain smooth interaction between an employee and employer as well. 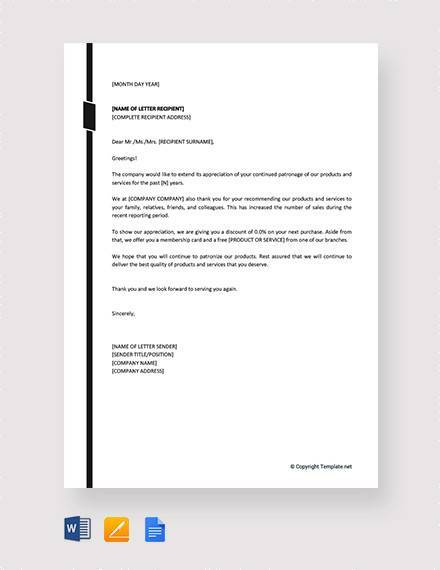 In case you need to write numerous such letters for your entire team, the easy to download and print templates from our collection can be of great help for you. 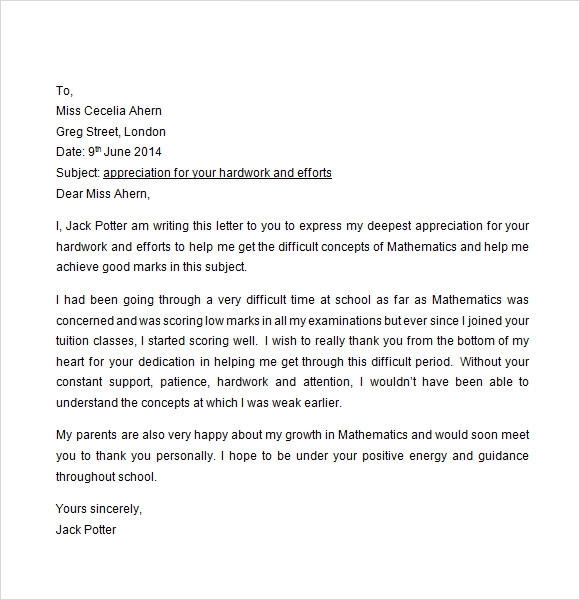 Here are some best chosen appreciation letter templates. You may also like Congratulation Letters. 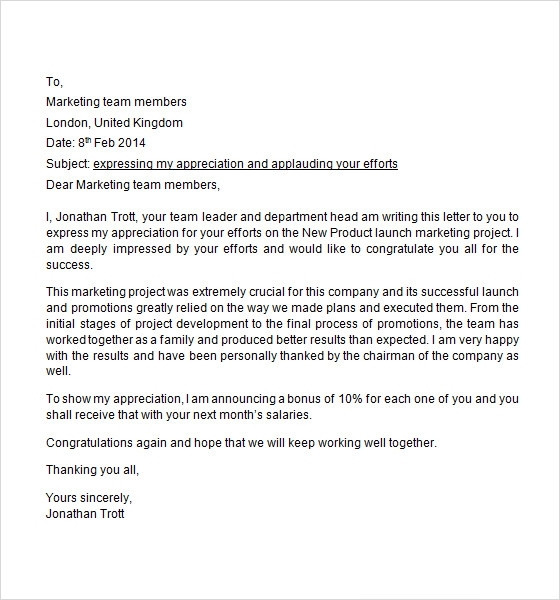 This kind of employee appreciation letter is a very good moral boost up tool for your employee, when you really want to thank them or show your sense of gratitude towards them for their yearlong hard work. Written in suitable appreciating words, these letters are very good PR tool for you to use. Next to parents the most respectable person in one’s life are the Teachers. So it is a very appreciable gesture to feel the contribution of such personalities in your life and write a small yet emotive letter of appreciation to them. 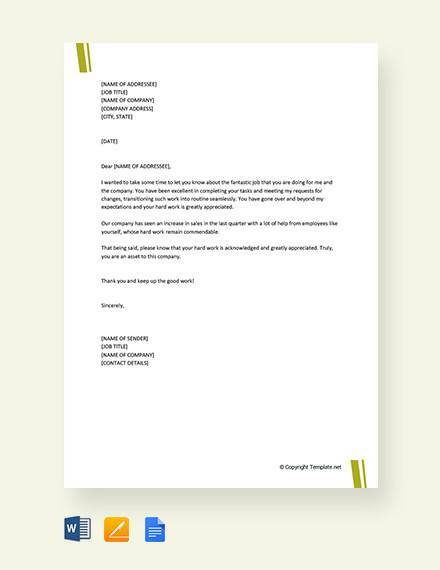 This appreciation letter template is a very apt one with tender words that is sure to touch your teacher’s heart at ease. In case of a business or shop, the most obvious person without whom your success would have not been possible is the customer. So, in certain occasions like business anniversaries and/or opening of branches, one may wish to felicitate such loyal customers who have been by your side while you were struggling to stand. 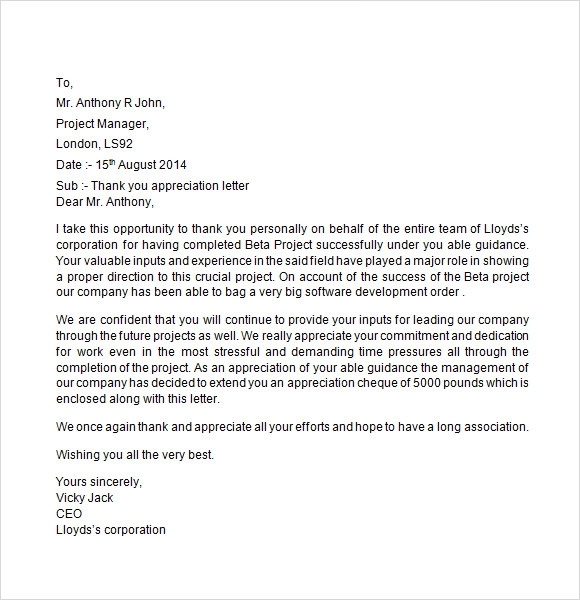 What is The Purpose of An Appreciation Letter? An Appreciation letter is such a letter which you can write and send to any one at any point of time. You may think to encourage the constant support of your employees behind the success of the organization or you may gift such a letter as a token of thanks to your most beloved teacher or your very loyal customers can also be gifted with an appreciation letter for being a part of your journey towards success. 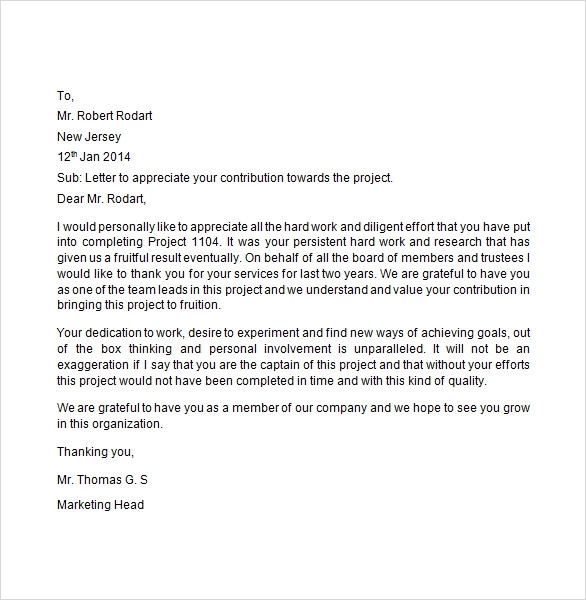 One appreciation letter template from our collection could also proof beneficial to bridge a sweet relationship between a brother or friend or any one from your relations. You may like Professional Letters. What Are The Tips To Write A Good Appreciation Letter? Here are a few tips for you to write good and effective appreciation letter for any one. Say thank you without any delay, just after the event has taken place. You may write a letter within 3 days of time, but if missed then write one immediately, being late than never. Use of proper format; formal for formal relations and informal for close relation. Start with the reason for your writing. Detail in the second paragraph. After signing off proof read the letter for silly mistakes. What Are the Benefits of Such a Letter? 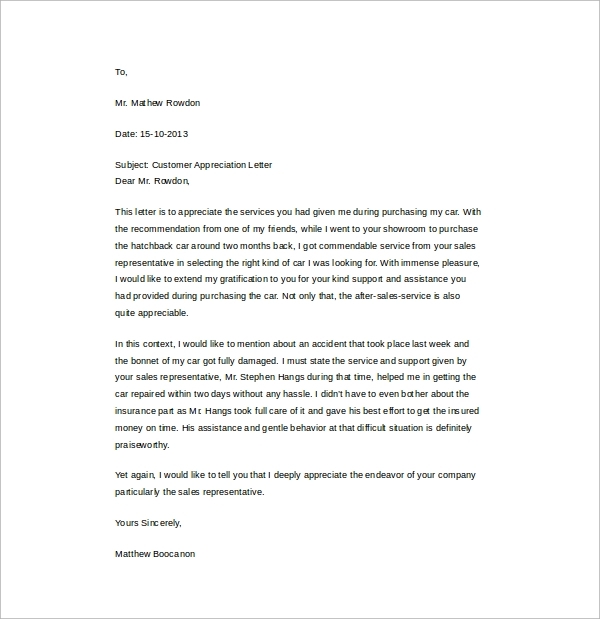 Writing a good appreciation letter has always proved to be beneficial in most of the cases. It works great in boosting moral and encouraging people for being as a support. 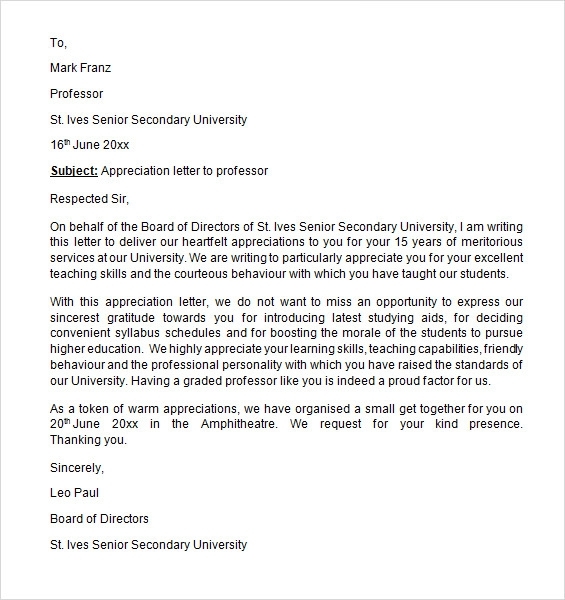 An appreciation letter is a very fruitful gesture to remind about yourself and your capabilities which in time can fetch good references for you. You may also like Professional Thank You Letters. 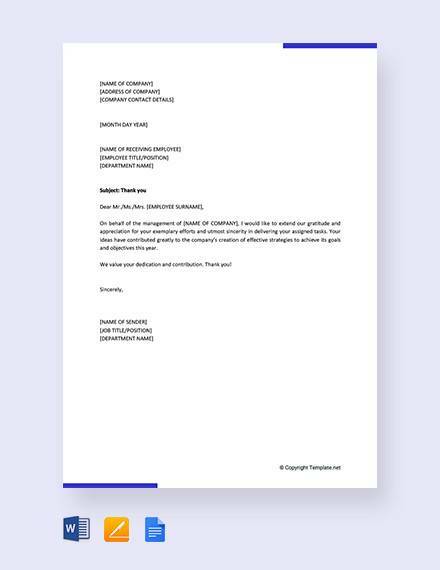 Our collection of impeccable appreciation letter templates are ready and friendly to serve you in times when you have heavy load of writing and want to finish the work within very short span of time. These formats are easy to download and print, just ready to post to the address.